The Icy Gems slot makes its way to your favourite online casino thanks to a collaboration between Just For The Win and Microgaming. You could say this is a slot themed loosely on the concept of winter. Looking at the game, though, there really isn’t very much ice to it. The backdrop has some snowflakes, but that’s about it. There are, however, plenty of gems. There really isn’t much to explain about the theme on this one. The symbols on the reels are a combination of gems and playing card values. There are four different types of gems plus the Icy Gems logo that serve as the high paying symbols. The low paying symbols are made up of the four playing card values from jack through ace. Payouts can be generous, but the slot volatility on this one seems to be quite high. The highest regular payout for five of a kind is 50 times your bet for landing five of the Icy Gems logo symbols. There are a couple of bonus features on this slot, but it could use more. This is a five-reel, three-row slot with 20 fixed pay lines. Making your bet couldn’t be any easier. There are several options between £.10 and £100.00 per spin to choose from. Sadly, this slot is nothing more than a repackaging, or re-skinning if you like, of a prior release from Just For The Win and Microgaming — and it’s not the first time they’ve done this. 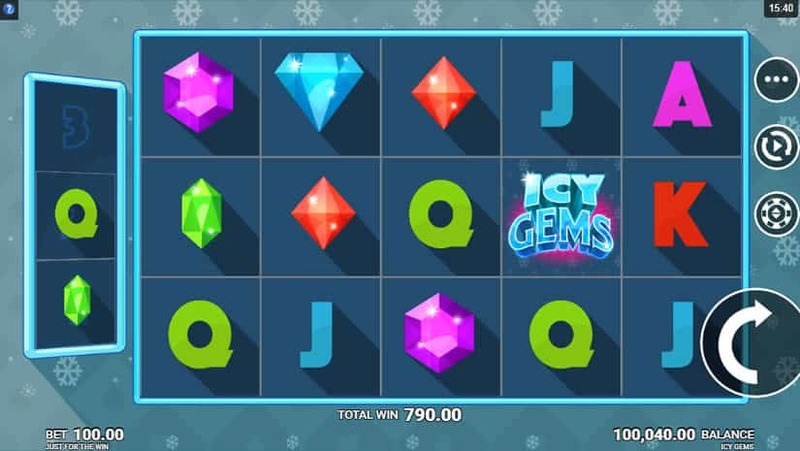 Icy Gems is, quite literally, the exact same game as the recently released Reel Talent video slot. The symbols are different and the visual design is redone — badly — but the game mechanics are identical. 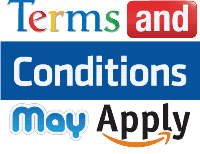 100% Up To £/€400 + 100 FS. This slot does have a good return to player (RTP) rate of 96.03%. Over the long term, this slot should pay back about £96 for every £100 wagered, which gives players good value for their money. If you like simple, straight to the point games, you might like Icy Gems. It doesn’t get any more stripped down and basic than this. No – Why Not Play? There is a distinct lack of bonus features on this slot machine and absolutely no interactivity. If you’re looking for big bonus features, you won’t like this slot. There is almost no visual design at all. Symbols are flat and simple and the background is nothing but a pattern of snowflakes. Given that this game uses already established mechanics, it could have been put together and released in minutes. Again, this game is an exact copy of another release that only came out a few days prior, and it’s not the first time these two companies have done this. It really shows a complete lack of imagination. If you like the way this game plays, you’d do much better to play the Reel Talent slot that was recently released. You’ll get the same gameplay with a much more entertaining design. Unfortunately, there aren’t a lot of bonus features in Icy Gems. What you get are wild symbols, re-spins, and super spins which are triggered by stored symbols. The two features are triggered as follows. On the left side of the reels is a symbol storage area that can hold three symbols. Whenever the player lands a win, the winning symbol is put in the symbol storage and a re-spin is granted. It is possible to have more than one symbol go into the symbol storage if you win with multiple symbols on multiple lines. When the reels spin again, if another win lands, that symbol is also put into the storage section. The respins continue until either all three storage spaces are filled, or no more wins land. In the case that no more wins occur before the storage spaces are filled, the storage area is emptied. If all three spaces in the storage area get filled, it triggers the super spin feature. During the super spin, only the symbols that were in the storage area are present on the reels. Depending on how many different symbols were in storage, the super spin will take place on one of three stages. If all three symbols in storage were the same, the super spin will occur on stage three, which guarantees a winning spin. Any wins during the super spin will be added to the total win from the spin that triggered it. Astro Legends slot by Microgaming. Baron Samedi Slot by Yggdrasil. Reel Talent slot by Just for the Win & Microgaming. Mega Gems slot by Betsoft.